Hey friends, I’m SO excited to share my friend Jennifer Rothschild’s new study with you!! Jennifer is one of my favorite Bible teachers because she teaches God’s Word with an intimate, tender voice that I find rare among Bible teachers. Her deep love of God’s Word, and passion for everyone she encounters to know and love that Word, is contagious. 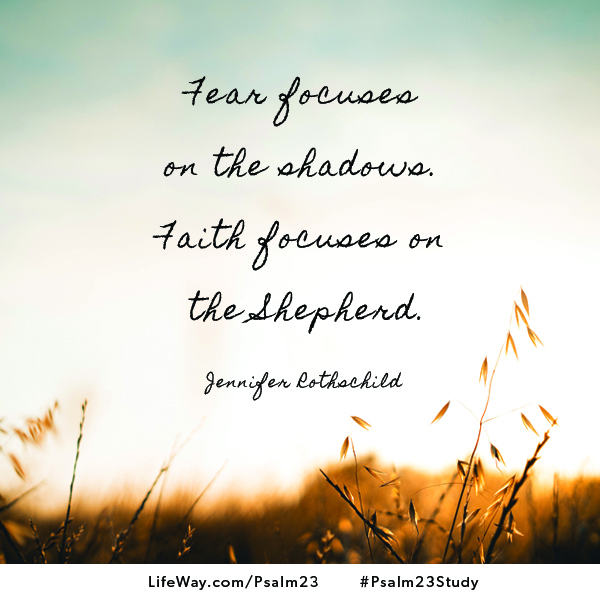 So, without further delay, enjoy these wise words from Jennifer as she shares from her new LifeWay Bible Study, Psalm 23: The Shepherd With Me. Plus, she’s giving away a copy of her Bible study book to one of you (read to the end)! Do you have any special memories that come up when you read, hear, or think of Psalm 23? Maybe it was granny’s favorite Psalm. Or maybe it was read at the funeral of someone you love. You may have seen it on a plaque or memorized it as a child. This passage stirs up all sorts of emotions, doesn’t it? Think about the word “my.” The verse doesn’t say that the Lord is “a” shepherd or “our” shepherd. It says He is “my” shepherd. To me, “my” means personal possession. Just ask any toddler. “My” means that toy belongs to me. It is covered with my drool, practically crushed in my little fist, and treasured as if it is the only toy I have. It is my personal possession. David talks about God as if God belonged to him and he belonged to God. In other words, the relationship is intimate, safe, and permanent. Sister, do you, like David, talk about God as if He belongs to you and you belong to Him? Is God personal to you? When I think of the Lord as my shepherd, I feel safe with Him. I see how He has guided me through green pastures and dark valleys. And, to be honest, when I really lean on Him as my shepherd, I feel the freedom to be as needy and dependent as a sheep. Psalm 23 is not an arm’s length, past-tense, wouldn’t-it-be-nice kind of passage. It is personal. It is a right here, right now, up-close passage about you and your Shepherd. But “shepherd” is just one way to illustrate God’s character. There are many other verses in the Bible that also describe how the Lord is a personal God to you. 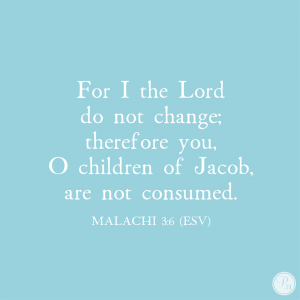 Maybe today you need to be reminded of how the Lord is a personal God. Here are four Scripture passages to get you started. When you consider the Lord is your portion, you’re reminded that He is all you need. In all the areas of your life where you may feel insufficient or weak, sister, He is enough. With the Lord as your rock, you learn that He will stabilize and ground you when life feels shaky. And when He steadies you, oh girl, you are steadfast and unshakeable. When you consider the Lord is your salvation, you take refuge in Him. You run to Him and He welcomes you, defends you, protects you, and preserves your life. The Lord is your strength and helps you deal with the fears that rise up in you. He gives you what you need to make it through whatever the day brings. He is a right-now, up-close, personal God to you, sister. And He cares for you. 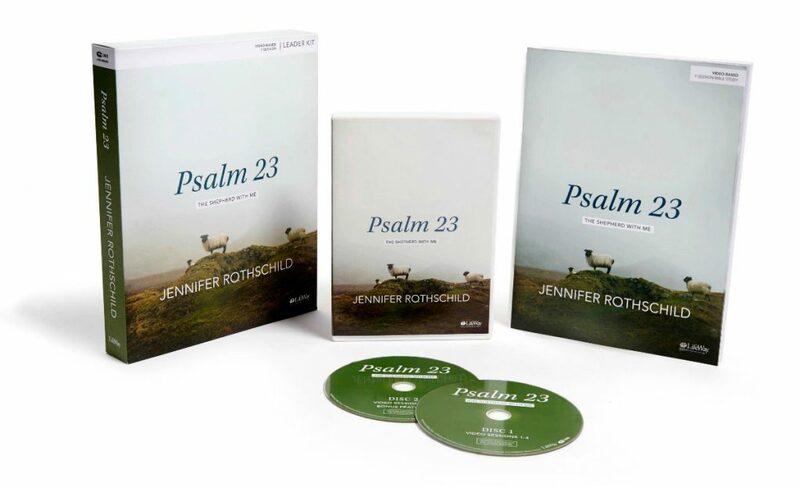 Jennifer’s new Bible study, Psalm 23: The Shepherd With Me will help you explore the depths of God’s care for you tucked in the psalm you’ve always loved. Through August 31, get a free audio download bundle with purchase of Jennifer’s Bible study book. Giveaway now closed – 9/14/18 congrats Marilyn (Mgoingone) – please check your email for more details from my assistant, Kim Stewart. How are these qualities of God’s character personal to you? Do you have any additional verses that remind you how personal He is? Share in the comments below, and one reader will win a copy of Jennifer’s new study. U.S. Addresses only please. Winner announced here Monday, August 20. Welcome to those of you joining from my Encouragement for Today devotion, Walking in Obedience. I wonder what would change in my life … in your life … if we truly lived in the absolute assurance of God’s deep, abiding, unconditional love. I’m not talking about simply saying we know God loves us. I’m talking about really knowing – deep down, soul-rocking knowledge – that the God of the Universe loves us beyond ways we could ever imagine. And then living every day anchored in that love, even when life’s circumstances and our emotions beg us otherwise. I want to help you live in the reality of this truth. 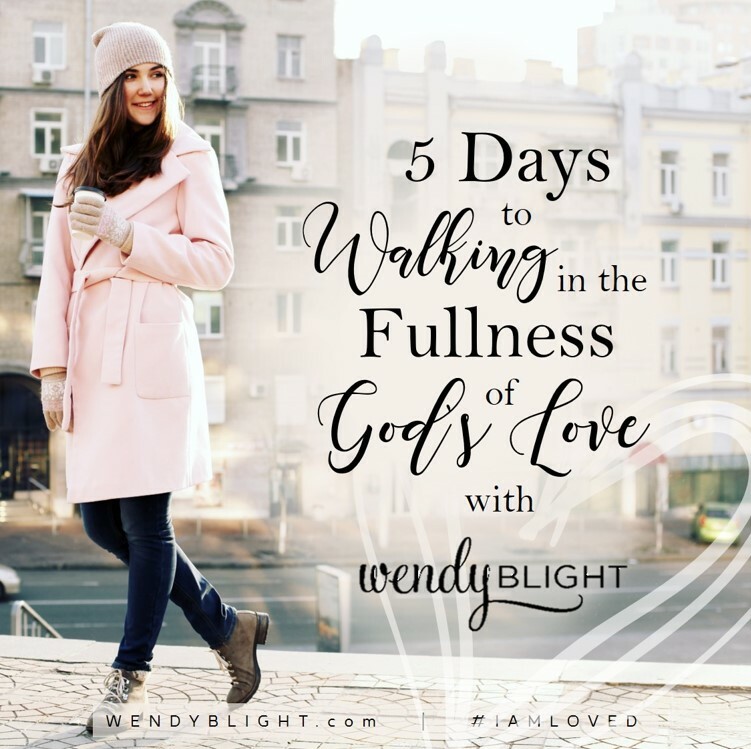 So I invite you to join me for 5 Days to Walking in the Fullness of God’s Love. It’s a devotional sneak peek into my new Bible study on 1 John, I Am Loved. Click here to sign up and you will receive the 5-day journey in your email. My dearest friends, today I’m inviting you to join one of my dearest friends and prayer warriors, Noelle Dey, and me to link hearts across the world in prayer for our sister in Christ, leader, and dear friend, Lysa. We want to raise up an army of angels to cover Lysa and her family in prayer. Noelle wrote this Spirit-led prayer after reading Lysa’s blog post. Let us stand together today, united as one, to pray. Cling to these truths as we pray, we are praying God’s Hebrews 4:12 living and active word. A Word He watches over and a Word that promises it will accomplish what He desires and achieve the purposes for which He sent it (Isaiah 55:11). Oh Papa. Words cannot express the deeply-felt gut-wrenching sorrow we have reading Lysa’s words. We can’t help but cry with her. Although some of us have never met her in person, she feels like one of our dearest friends because she walks alongside us on our journey through life. We pray all the messages You’ve spoken through her to heal countless come back and rest on her a hundredfold. When the enemy tries to tell her that she’s Uninvited, You draw her near and whisper, “You’re the apple of my eye. I would trade nations for you, Lysa.” Her story reminds us of the woman with the issue of bleeding, I can only imagine that Lysa’s heart is hemorrhaging. Jesus, You didn’t let that precious woman go unnoticed. No, You made sure she knew she was invited. Invited into deeper intimacy. Invited to healing. Invited to be the one woman that You tenderly called, “Daughter.” Let Lysa lean into You as she sees herself in this story. You have created our blueprints to be women whose hearts Crave our husbands. There’s nothing more devastating than to feel the deep-seeded rejection in that sacred relationship. Show Lysa in palpable ways how deeply You crave her. Your heart beats for her. You crave nothing more than for her to know true love: not her love for You, but Your pure, unfailing love for her … that love that sent Jesus because You couldn’t imagine life without her. How can she not feel Unglued? Art was her pillar. And the solid foundation for each of their children. Whisper into the most vulnerable places in her heart and remind her that You are before all things. Including this devastation. And You are the glue that holds all things together. Including every shattered fragment of their hearts. When faced with infidelity and betrayal, it’s easy to let the enemy gain a tiny bit of ground … little by little. The fragile girl in Lysa will hear the lies that hiss, “I am not good enough. I am not pretty enough” or whatever the false “I am” lie is in any particular moment. But she knows I AM. You were. You are. You always will be. You are the true I AM. And whatever is true of I AM is true of her since she is tucked away in Christ Jesus. Therefore, she can say, I AM the beloved daughter of the Most High God. I AM deeply loved and highly favored. I AM beautiful. Desired. Victorious. Raise up the army of heavenly angels to fight for Lysa’s heart. Surround her. Overwhelm her. And for her husband … it’s not over, even when it’s over. Lazarus was dead and stinkin’ in the grave. You put him in an impossible situation. All to show that what’s impossible with man is more than possible with You. We lift him to You now. Break the chains of addiction and misguided emotions. Unveil his eyes so he can see how the enemy perverted the truth. Reclaim his heart Lord in JESUS’ NAME. Oh Papa. They need rescue. Draw Lysa in. Each of her children. Her husband. And the adulterous woman. Banish everything that is not from You. Only You can bring beauty from these ashes. And that’s what we are asking for in Jesus’ Name, amen. If you are standing with us, please leave a comment … a verse … a prayer. Let’s ensure Satan knows he has no power or place in our lives. This army of angels has no fear, and we will defeat Satan’s schemes in the Name of Jesus as we storm the gates of heaven for our precious sister, Lysa.